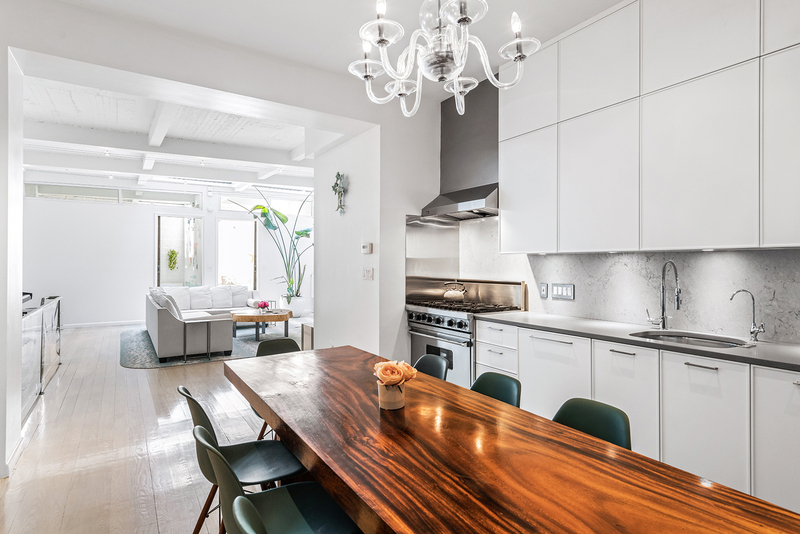 Discover this magical 2,223-square-foot, 3-bedroom, 3-bath triplex condo with a 525-square-foot rooftop terrace located in the heart of Chelsea and a short distance from several subway lines. The minute you enter this home you realize this isn’t your ordinary cookie cutter apartment and you might confuse yourself with a home in the Hamptons or a loft in Tribeca. The beautiful combination of aesthetics and the renovations which include Italian cabinetry by Aster Cucine and Caeserstone countertops, Bosch dishwasher, Viking professional series 6-range gas stove and oven, Gaggenau fridge, Miele wine fridge, garbage disposal, and custom water filtration system are just a few of the turn-key qualities you will acquire when you purchase this home. Classic finishes such as exposed brick and gorgeous white stained oak floors with an expansive 300-square-foot skylight that shines throughout the main floor along with a floating and cantilevered steel staircase make this home one of the most unique apartments on the market. 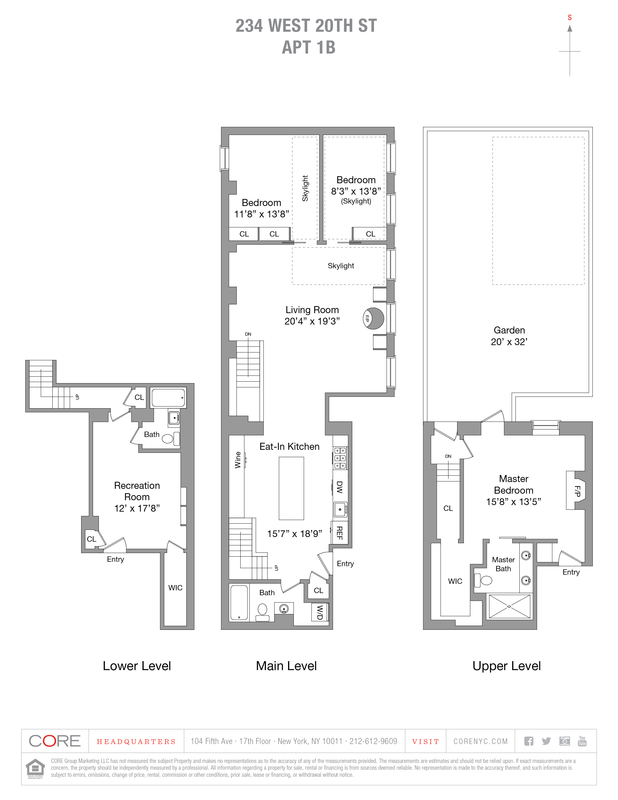 On the main level, the apartment features a huge chef’s kitchen, a large living and dining area with a gas fireplace and built-in speaker system, two bedrooms and a full bath with LG commercial size washer/dryer. A recreation room (possible fourth bedroom) and renovated full bath are on the lower level. On the upper level you will find the master bedroom suite with a wood-burning fireplace, large walk-in closet with an additional deep storage closet behind the stairs, renovated master bathroom with a glass enclosed steam shower and separate entrance for complete privacy. Additionally, on the upper level, you will discover a beautifully planted and irrigated terrace with rooftop grill, perfect to end your day or entertain friends with a BBQ.